What's Ahead for Puerto Vallarta's International Friendship Club? What's Ahead for the International Friendship Club? 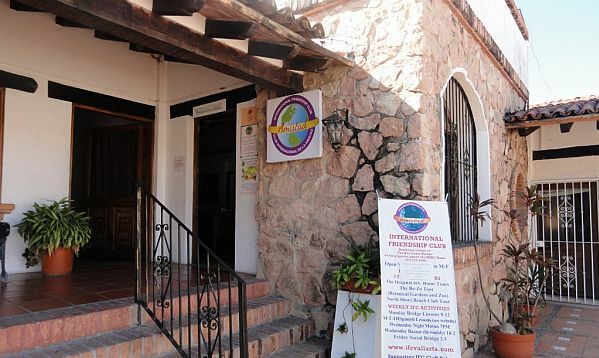 The International Friendship Club is located at the northeast corner of the Rio Cuale Bridge above the HSBC Bank in downtown Puerto Vallarta. 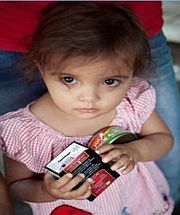 For more information, please visit ifcvallarta.com. Puerto Vallarta, Mexico - On April 12th, the I.F.C. held its final meeting of the "season." The new Board of Directors of the club was installed and Dan Grippo, the club's President for the last two years, handed over the reins to the new President, Henry Golas. Henry moved from Toronto to Puerto Vallarta three years ago and lives here full-time. He served as a Director of I.F.C. for the last two years and chaired the Education Committee last year. Henry is passionate about helping other people and has visited most of the charities that the club supports with money or with food and he wants the club to expand the help that it gives to the less fortunate Mexicans who live in the Bay of Banderas area. As well as giving help to local people, Henry sees one of his roles as President as giving the members of I.F.C. a wide variety of activities. Residents of and visitors to Puerto Vallarta want a variety of things from their membership in the club. Some want to make new friends or meet old ones and they find that the Friday evening social hour from 5:00-6:00 pm, followed by dinner afterwards is a great way to do that. Others want to play a social game of bridge and they become occasional or committed members of the Social Bridge games on Friday afternoons. Many people here have just retired and want to volunteer their time and their talents to a good cause and they help by serving on committees, delivering food to poor families, meeting with organizations that need our financial help and by operating the famous I.F.C. Home Tours. Others want the stimulation of learning Spanish or listening to lectures on history, culture, medical matters, ecology, spirituality, finances or travel. 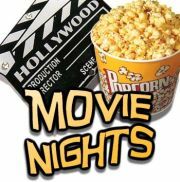 Some like to relax with a bag of popcorn and attend the Monday night movies. And others just join for the discounts members get from the club's preferred vendors. The club has close to 500 members and their needs are very diverse. Henry, the new President, not only wants every one of the members to be satisfied with their membership but he is also committed to making the members more involved and better informed. It's a tough task but he and the new Board of Directors have the skills and the enthusiasm to take the I.F.C forward to an excellent future. In other news from I.F.C., the club was pleased to celebrate the graduation of students from its English Outreach Program. Every Tuesday and Thursday evening from January 20th to March 26th eight to ten volunteer teachers met with two dozen Mexican students who wanted to learn English. The classes started with a 30-minute lesson and then split into small groups to do exercises and activities related to the lesson. After each class, students were given handouts for homework that was then reviewed at the next session. The students, who range in age from nine to fifty-two, come from all walks of life. Itzuri, for example, is a twelve-year-old who travels by bus for an hour and a half to attend class. She is taking these English classes to give herself a better future. Maricela is thirty, works in a pharmacy all day and wants to improve her English so she can better serve her customers. Yaneli is a sixteen-year-old student who attends regular classes at school during the day and then rides the bus for over an hour to attend the IFC classes. She and all the other students know that many of the best job opportunities are offered to those who speak English. The students are not the only ones who gain from this experience. The teachers enjoy watching their students grow and love to see the huge smiles of pride on their faces after they have completed their first sentence in English or, after struggling with a word's meaning, suddenly understands it. The teachers also enjoy having a vacation where they can help someone, meet new and interesting people, and learn some Spanish from their students. All of them say that they have had a good life and it is time for them to give back something to society. The I.F.C will offer the English Outreach Program again next January.